One of the most anticipated parties of the Ibiza season, the Ushuaïa opening party will burst into action one week earlier this year. The opening date for your diaries this year is Saturday 18 May 2019. The gargantuan outdoor venue has gained some serious kudos over the years also for its grand opening. While the line-up remains to be unveiled, past years have seen massive line-ups including Andrea Oliva, Apollonia, Dublin, Steve Lawler, Nic Fanciulli, Paco Osuna, UNER, Richie Hawtin, Adam Beyer, Maya Jane Coles, Andrea Oliva, Hito and Francisco Allendes. The music, of course, can say it all, but at Ushuaïa you are in for a sensorial feast. Its next level production between the main stage and the pool area includes ice cannons, lasers, flame blowers, stage performers, acrobats and a whole lot more in between. 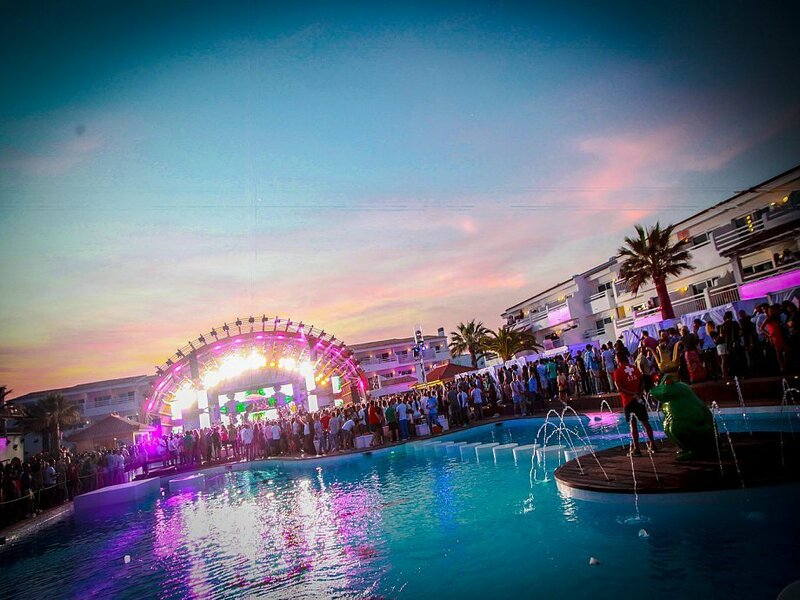 Check Ushuaia upcoming events for updates on the lineup! 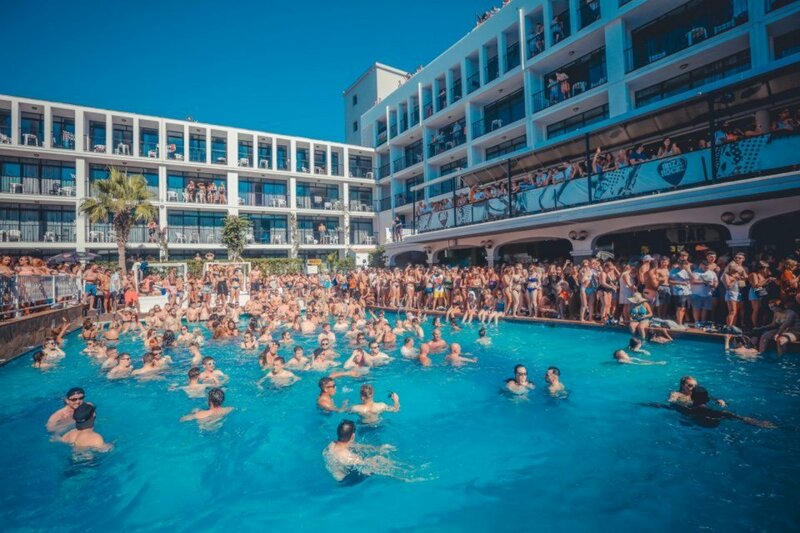 Ibiza Rocks Hotel is on fire this week, having just announced a third residency for Ibiza 2019. Rudimental & Friends Pool Party is back at the home of the pool party for another season of the hottest smash hits and off-the-charts energy. The multi-platinum-selling and multi-award-winning Rudimental will be picking up right where they left off after their spanking residency at the “home of the pool party” last summer. Meanwhile, the British drum-n-bass band has been busy selling out shows and dropping smash hits around the globe, besides being nominated for two BRIT awards. As we wait to find out the rest of the line-up, last year saw new pop royalty Anne Marie, crowd-puller duo Gorgon City and global sensation singer-songwriter James Arthur, amongst many others, joining Rudimental. This year, we are told, promises even more special guests. Stay tuned for details coming soon. So get ready for it. Rudimental & Friends will be taking over Thursdays from 4 July to 29 August. With this residency, Ibiza Rocks Hotel has announced a total of five so far. The summer is already shaping up very nicely indeed for the San Antonio daytime venue. For a glimpse of what’s in store, check out the teaser video. Marc Kinchen (MK) has released the names joining him at his brand new AMK & Friends Area 10 pool party at Ibiza Rocks. Get ready for this. MK isn’t a stranger to producing a hit or two, and neither are his guests. King Kong producers and Annie Mac-favourites Icarus is the first name down. They’re joined by Jax Jones of You Don’t Know Me fame, arguably 2017’s biggest club hit. Veteran Italian house master Riva Starr and Brighton’s finest Prok & Fitch are also included. Meanwhile, a rising Scottish star that MK has been championing for a while, KC Lights is also on the roster. One curveball inclusion is MK’s fellow Detroit compatriot Omar S. Also involved are islander and Ibiza Rocks legend Doorly and deep house duo Eli & Fur. One final name confirmed is Bristolian bass peddler and Dirtybird’s hot new property Will Clarke. As you can see, the roster is a great blend of emerging talent and friends with legendary status. Even though this will be MK’s first flirtings with the daytime party format in Ibiza, the party is sure to go down as a great success. The series runs for five consecutive Mondays from 9 July to 6 August at San Antonio’s home of the Ibiza pool party. For those hot tickets and date-by-date breakdowns, see below for everything you need.